Is Robocar up for the challenge? 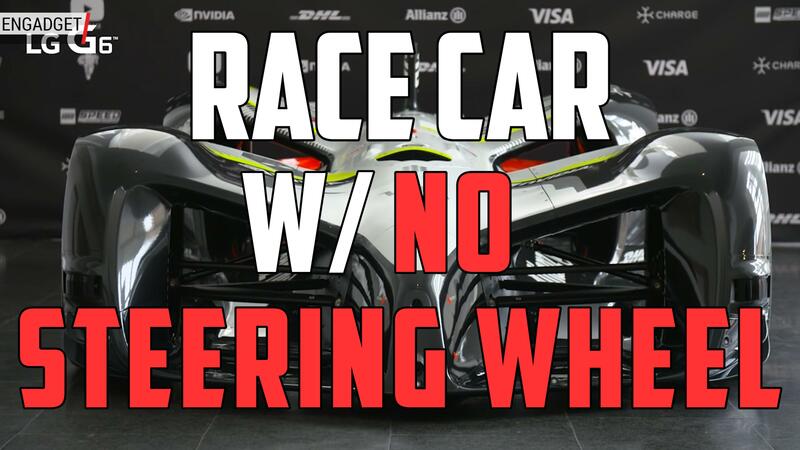 Roborace has already proven its technology can allow a car to drive itself around a race course. The next challenge: the 1.16-mille hill climb at the 2018 Goodwood Festival of Speed. Robocar, as the vehicle is called, will make the historic attempt in what is Goodwood's 25th anniversary year. If you've watched previous Goodwood climbs, you know this will be no easy task. We're eager to see if Robocar can keep itself out of the hay (or a rock wall), while still maintaining any modicum of speed. The car weighs 2,976 pounds, and is powered by four 153-kW (201-hp) motors — one for each wheel. Robocar relies on a robust sensor suite consisting of lidar, radar, ultrasonic sensors, cameras and GPS, processed by Nvidia's Drive PX2. The artificial intelligence is provided by Arrival. The climb will be challenging, according Arrival Chief of Software and AI Sergey Malygin. "It is a narrow track with complex geometry. Turns and hills with a great deal of tree coverage mean you can't rely on GPS / RTK signal for localization. Use of all advanced sensors, including lidars and cameras with deep-learning-based computer vision methods are needed to perform well at this course." Goodwood Festival of Speed founder Charles Gordon-Lennox, the Duke of Richmond, says, "I can't think of a more exciting way to celebrate our Silver Jubilee than to have Roborace attempt the first autonomous race car run up the hill. Roborace plays an important role in the future of mobility, challenging public perceptions and providing a platform to advance new technologies. This makes them the perfect partner to undertake this significant feat."